Home > Uncategorised > ASTON VILLA COMPETITION: CONGRATULATIONS BEV! Following the announcement of our winner Mrs Bev Bynt – KNBP personally went to congratulate the happy family about their football VIP day! 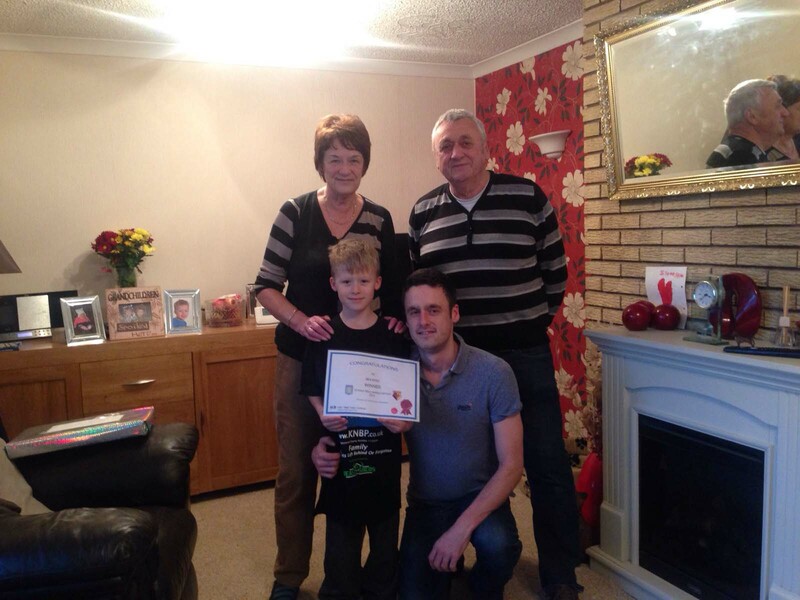 We awarded Mrs Bynt and her family a certificate for both entering and winning our amazing competition. Mrs Bynt has also allowed KNBP to share her heartfelt entry – this will be published in the coming weeks. Mr and Mrs Bynt entered the competition for her son and grandson (see below) who are looking forward to the big day! There will be more pictures of the winning family and KNBP at the game on Saturday 28th November! Congratulations to the family once again!